Frequency: GSM900MHz/1800MHz | Support reverse polarity | Can connect to PBX | Supports making & answering calls after connecting to telephone set. Send/receive faxes through connecting to fax machine. 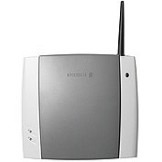 Available to connect with telephone set, PBX, billing machine, etc. Can connect with backup battery, stand-by time up to 24 hours in case when the power is cut off. Built-in PIN code protection featured with locking device/card/network. Caller ID. Optional to match with various high-gain antennas, featured with signal intensity indicator, Working status indicator, breakdown indicator, etc. Supports the functions of redialing and hands-free. Proceed with setting up and modification of parameters through the phone set. 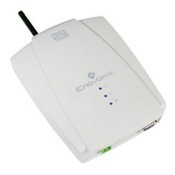 EasyGate is a single-line analogue fixed cellular terminal (FCT) suitable for SMEs to reduce call costs to mobiles, send and receive SMS and GPRS Internet connection and this version has FAX capability. Maximize wireless performance with Witura self-developed and launched Series of Fixed Wireless Terminal (FWT). Take advantage of the established worldwide availability of GSM Systems for all of customers communications requirements, including digital voice, analog fax (optional), which can provide access to home, office or any remote location where phone service is needed and GSM wireless networks are available. At the same time, FWT can provide polarity reversal signal to connect meter for charge, so it can act as Fax Machine. 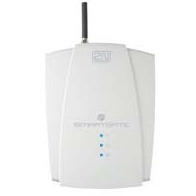 WT-209 FWT is one desk top type, provides wireless access through GSM network. WT-209 is available for all kinds of areas and scenarios especially in places where wired network is impossible or hard to reach.